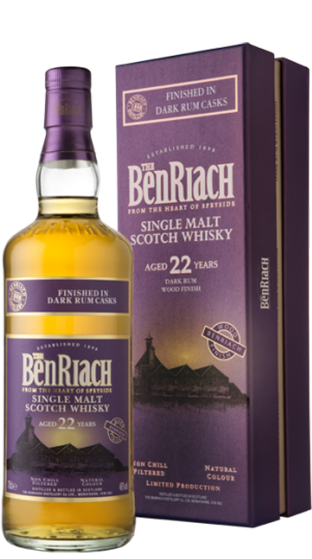 Tasting Note: Matured in the traditional style in American Bourbon barrels, this whisky is then ‘finished’ in dark rum barrels, sourced from the Caribbean island of Jamaica. During this second period of maturation, the whisky derives many interesting characteristics specific to the Dark Rum barrel, RIPE STONE FRUIT infused with VANILLA, GINGER and TANGERINE PEEL. Bottled at natural colour and non chill filtered.